The Best UK Organizing Blogs from thousands of UK Organizing blogs on the web using search and social metrics. Subscribe to these websites because they are actively working to educate, inspire, and empower their readers with frequent updates and high-quality information. UK Organizing newsletter is a comprehensive summary of the day's most important blog posts and news articles from the best UK Organizing websites on the web, and delivered to your email inbox each morning. To subscribe, simply provide us with your email address. Facebook fans 14,242. Twitter followers 6,014. Yorkshire and The Humber About Blog Home Organiser and Declutter Expert. Yorkshire, UK. I help overwhelmed people organise their homes, simplify their lives & prioritise their time. Facebook fans 1,018. Twitter followers 3,341. London, England About Blog I work with people who need help in creating an organised home or business environment. Blog page with advice and posts helping you to create a more organised home and work environment. Facebook fans 429. Twitter followers 1,326. Bristol, England About Blog Learn how to declutter without purging or overhauling. Living lightly, saving money, growing, crafting and cooking. Less-stuff means less waste. Dumfries, Scotland About Blog Professional organising in Scotland. Advice and inspiration to help organise your home, family, life and memories - wherever you are in the world. Facebook fans 4,716. Twitter followers 1,100. About Blog Follow this site to be inspired by tips for Planning and Organizing and much more. London, UK About Blog Love2Declutter is a blog devoted to decluttering and organising. Find blogs on Decluttering and organising tips and advice, written by Mums for Mums. Facebook fans n/a. Twitter followers 354. UK About Blog Do you need guidance or support to organize your home, office or your life? Are you looking for an expert on decluttering and organizing to share insights? APDO members regularly share their organizing, decluttering expertise in an international, national & local press, on TV & radio, or via social media. Facebook fans 1,508. Twitter followers 3,782. Scotland, United Kingdom About Blog Hi there! I'm Gaby author of Life in Eight, space where I blog about home decorating and organizing. Facebook fans 502. Twitter followers 274. 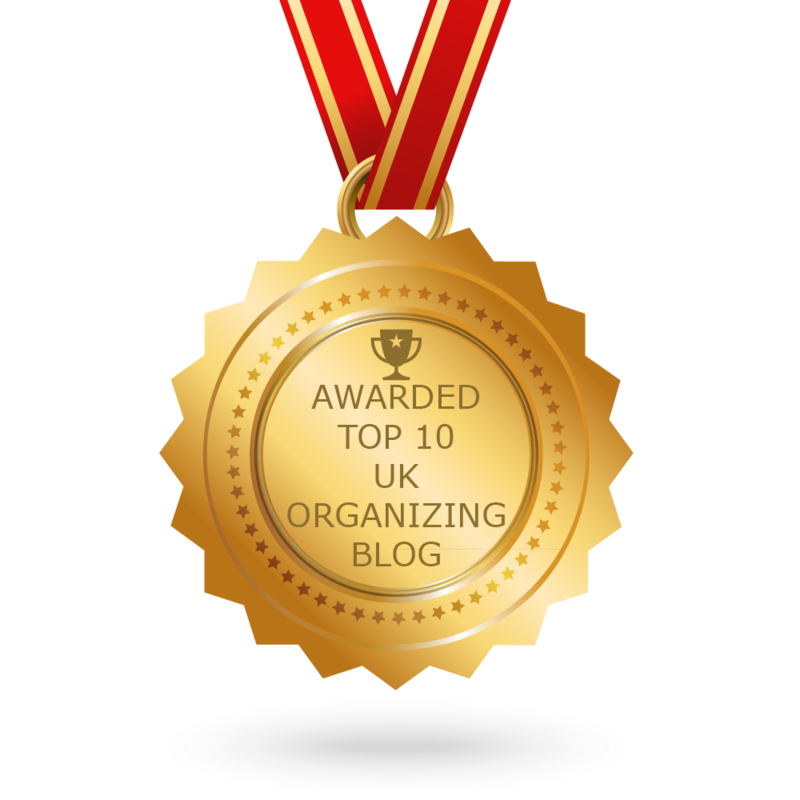 CONGRATULATIONS to every blogger that has made this Top UK Organizing Blogs list! This is the most comprehensive list of best UK Organizing blogs on the internet and I’m honoured to have you as part of this! I personally give you a high-five and want to thank you for your contribution to this world.